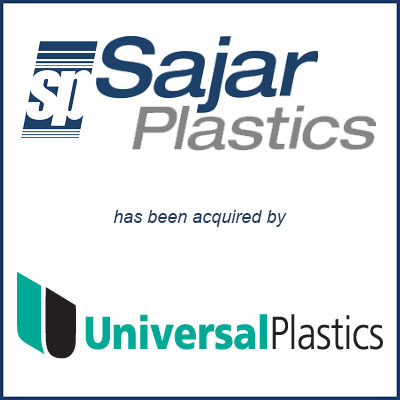 Middlefield, OH – June 2017 – Heavy-gauge thermoformer Universal Plastics of Holyoke, MA has acquired gas-assist injection molding specialist Sajar Plastics. Sajar has been owned by Pittsburgh-based private equity firm Main Street Capital Holdings since 2008. Many Universal Plastics customers start out with custom thermoforming and graduate to injection molding if their product volumes increase. Sajar’s low-volume, gas-assist capabilities give Universal the opportunity to support customers further along the product life cycle, Kumar said. Molding Business Services of Florence, MA served as the exclusive advisor to Sajar Plastics in connection with the sale. Excerpts from an article published by Plastics News were used above. Click here to read the full article.